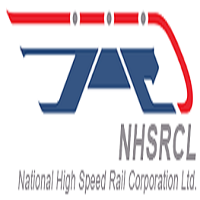 NHSRCL Jobs Recruitment Notification 2018.National High – Speed Rail Corporation Limited (NHSRCL) inviting applications for the positions of Manager, Assistant Manager, Deputy CPM, and other jobs in NHSRCL, Mumbai, Surat, Vadodara, New Delhi, Palghar, Ahmedabad on deputation contract basis.Interested and Eligible candidates can apply for the positions. Last Date for Submission of Application is on November 15th, 2018. Total number of vacancies to be filled by NHSRCL is 56 Posts. Name of the post: Manager, AM, Dy CPM. Applicants must be completed Diploma/ B.Tech/ M.E/ M.Tech/ BE/ B.Tech/ Bachelor’s Degree/ from a recognized organization/ University. https://www.nhsrcl.in/ Is the link applicant can download directly.